Mom Always Liked You Best is a practical guide for the millions of Americans currently struggling with adult family conflict. It is designed to give you the information and tools you need right now to achieve those mutual agreements that seem so elusive. 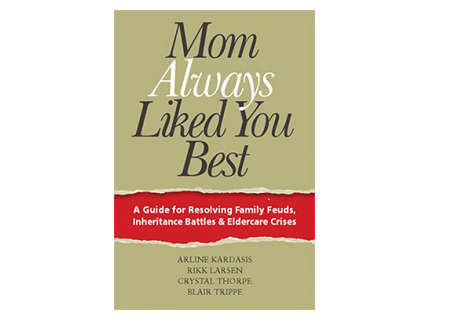 Mom Always Like You Best is a practical guidebook for the millions of Americans currently struggling with adult family conflict, especially around issues to do with eldercare, family property, estate planning or inheritance issues. Mom Always Liked You Best helps family members become better decision-makers, mindful negotiators and more effective communicators. 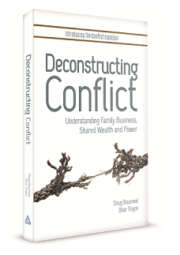 The authors have helped many such families who are in conflict around elder transitions and associated issues. 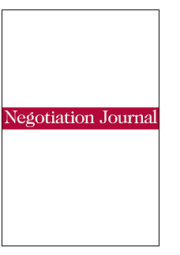 They are “thought leaders” in the field of elder mediation and also bring decades of experience in the areas of education, finance, healthcare, social work, and estate settlement, as well as their own family experiences. By reading this step-by-step guide and practicing the techniques that they lay out for you, you will learn skills used by professionals. You will learn tools to help you stop having those circular arguments that go on interminably and get you nowhere.